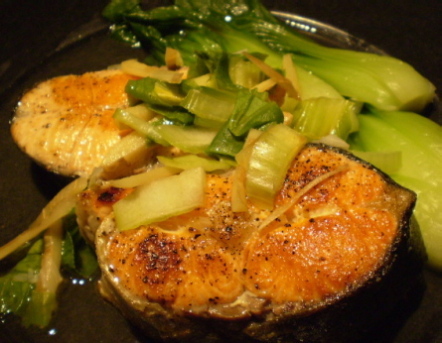 Fresh salmon steak, grilled to perfection, is paired with crisp baby bok choy for a delicious combination of textures. A bold drizzle of Asian-infused oils and soy suace adds a punch of flavor. 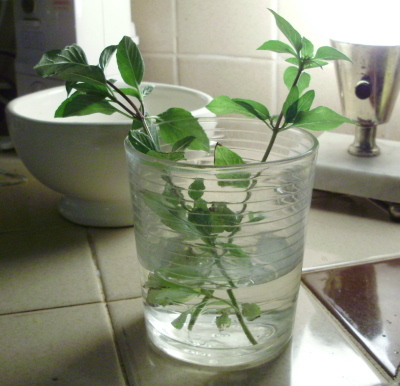 Fresh Thai basil finishes the dish with a bright, herbaceous note. 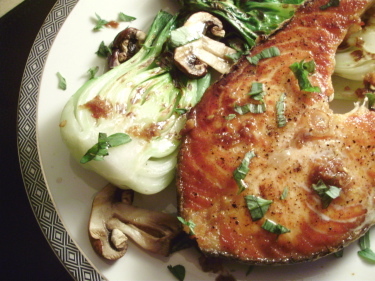 Pat salmon dry and season both sides with salt and pepper. Set aside. Bring a medium pot of salted water to a boil. 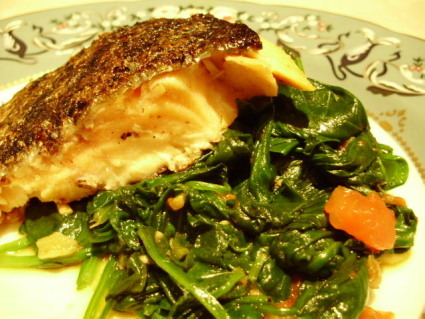 Add split bok choy and blanch for three minutes. 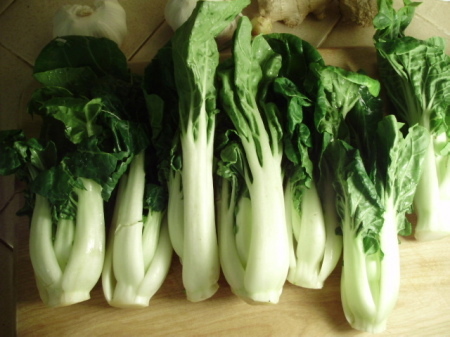 Remove bok choy immediately to a bowl of cold water to stop cooking. Drain and pat dry; set aside. 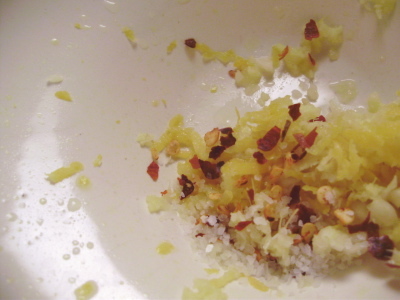 Combine lemon zest, ginger, garlic, red pepper flakes, pinch each of salt and pepper in a small, heatproof bowl. Heat vegetable oil over medium-high beat. 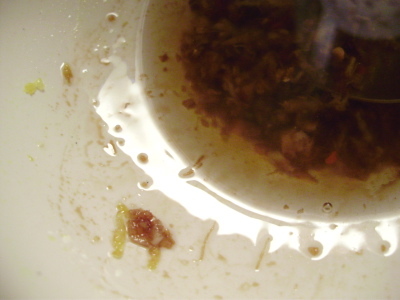 When just at smoking point, pour oil over ingredients in bowl. 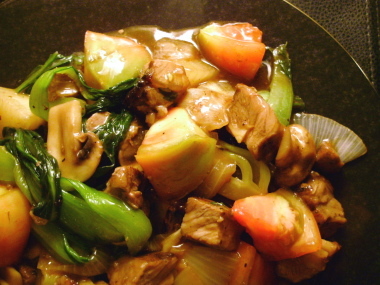 (Careful, as contents might splatter) Whisk in sesame oil and soy sauce. Set aside. Heat a large grill pan to smoking. 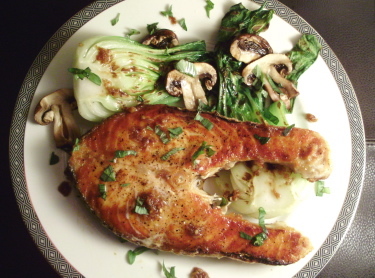 Brush bok choy with a little vegetable oil and grill, cut side down for two minutes. Turn and continue to grill for another two minutes or just until tender. Do not overcook. Add mushrooms and cook just until tender. Remove vegetables to a platter and cover to keep warm. Brush salmon with a little vegetable oil and grill, four minutes per side, or until fish is just done. 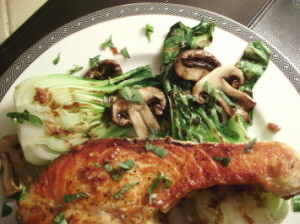 Plate bok choy and salmon, scattering mushrooms over. Drizzle sauce over all. Sprinkle Thai basil over all and serve at once.